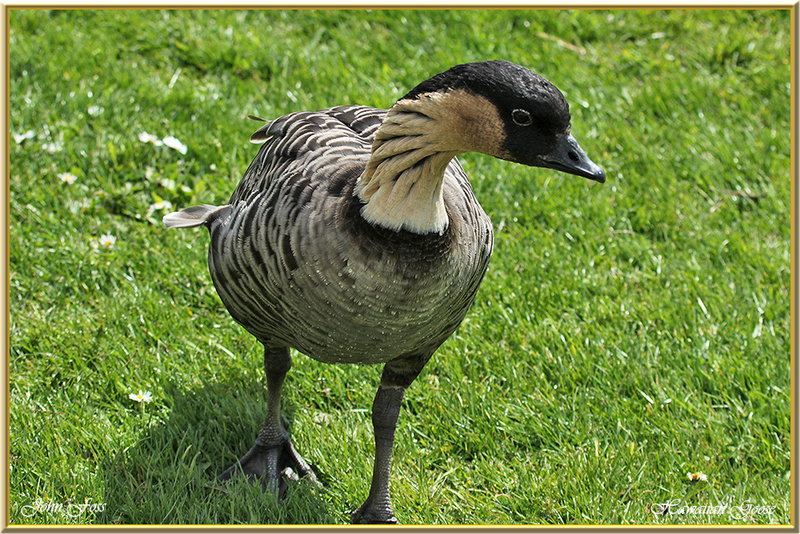 Hawaiian Goose - Or Nene Goose is Hawaii's State bird. It is currently on the list of endangered species after virtually being wiped out in the 1940's due to over hunting. 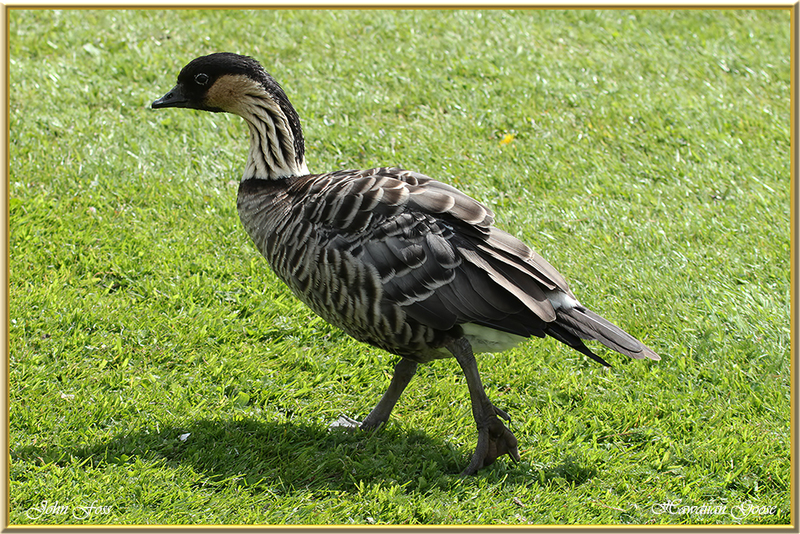 At the end of the 1950's the Nene was then named as Hawaii's state bird. Since then after a huge conservation program some captive birds were eventually released back into the wild. 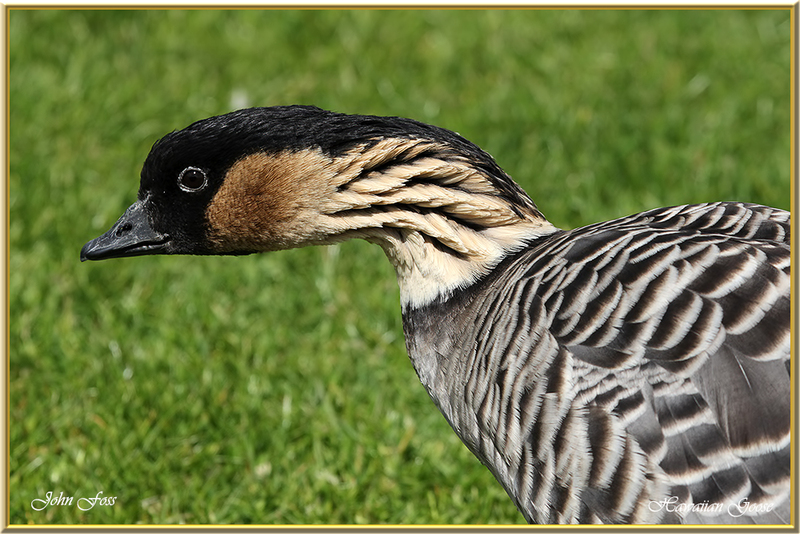 There are now around 900 of these birds in the wild and numbers are still rising each year. 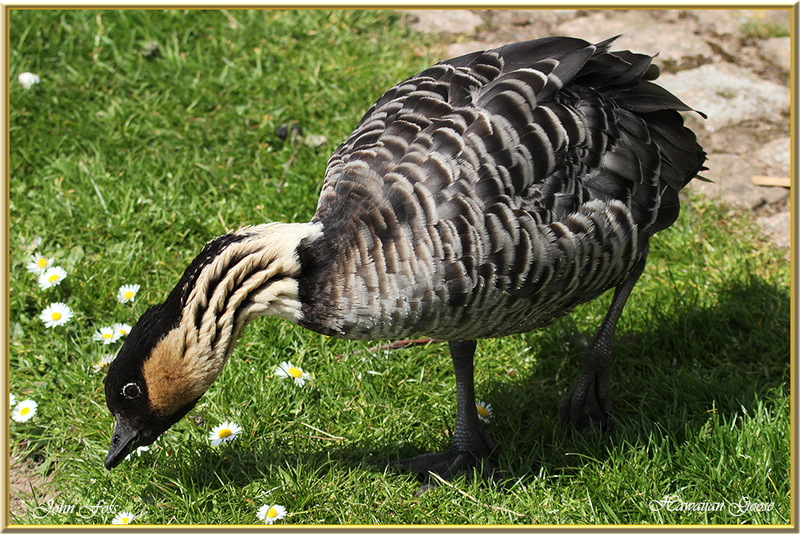 These birds were photographed at a reserve in Staffordshire UK obviously captive. Wonderful to witness their presence.